If you’re dreaming of the tropics, they may be as close as your own backyard. 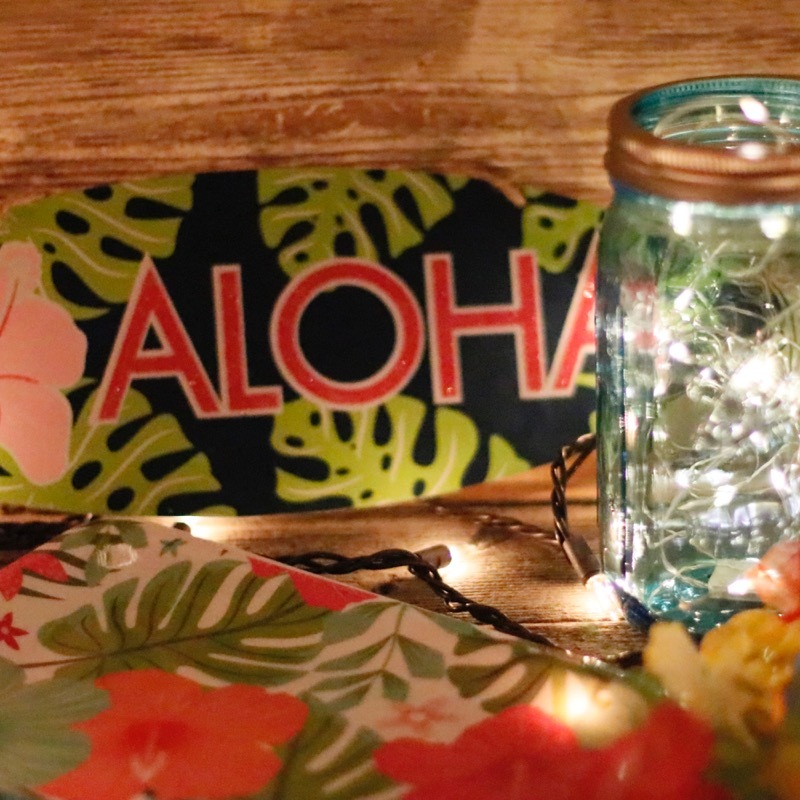 A luau is, in essence, a Hawaiian party, often used in Hawaii to celebrate events of great importance like graduations and, especially, the birth of a first child. While most luaus that tourists see are commercial events with hula and gigantic buffets, traditional Hawaiian luaus are generally held in someone’s backyard, especially along the beach where a pig or lomi-lomi salmon can be easily roasted in a pit. Originally, luaus were called pa’ina (small dinner party) or aha’aina (large feast: literally, a gathering-meal). It was believed that the ancestors of those gathered were also at the feast, partaking, and the dinner was conducted with some ceremony. Each person brought a dish or two, or helped to prepare the largest items like wild pig; this made it something of a pot luck, another Hawaiian tradition. Today, things are less formal and more social. Your luau can be on any part of this spectrum. You can go tacky or traditional with this. Hawaii tends to be on the relaxed side of things, so using things you already have around the house – a cooler for drinks, plain white platters to serve with, etc. — is just fine. There are also great party supply places online for things like fake palm trees and other decorations. Paper plates should be in tropical colors, and really paper, not foam, so they’re easier on the environment (Hawaii is all about the environment). Use lots of flowers and fruit in your décor. Paper and silk flower garlands are excellent decorations for your table, home, or to camouflage ugly things like electrical cords. Look for grass skirts to wrap your tables in, or just use white tablecloths and make sure you have plenty of bright tropical colors in your serving ware. Luaus are traditionally held in late evening, just before sunset. 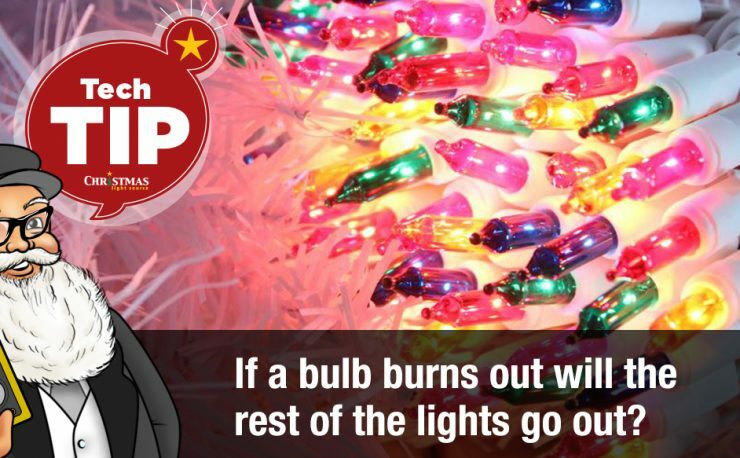 You’ll need to think about lighting, and tiki torches, while they add to the atmosphere, just won’t give you enough light. 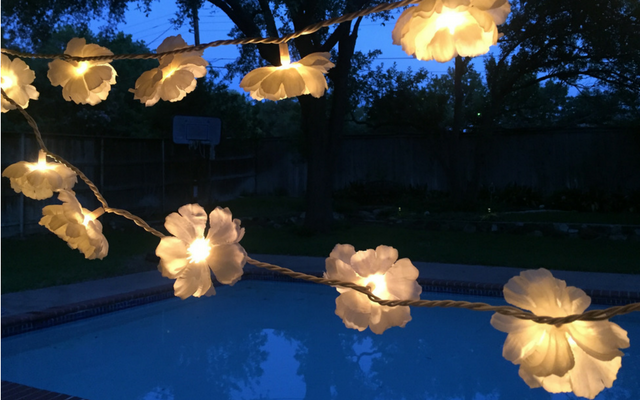 Mini lights and C7 and C9 lights sets are ideal for this. Good choices for light colors for Hawaiian theme parties are pink, purple, yellow and teal. 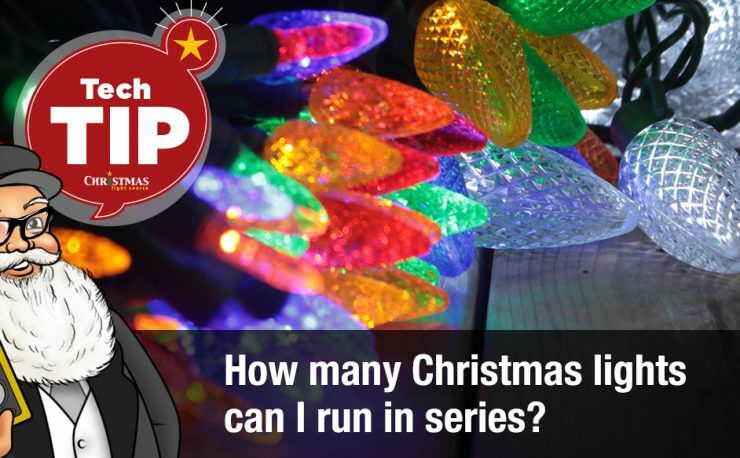 Run the lights all around your porch or lanai, along the fence, around your trees and bushes. 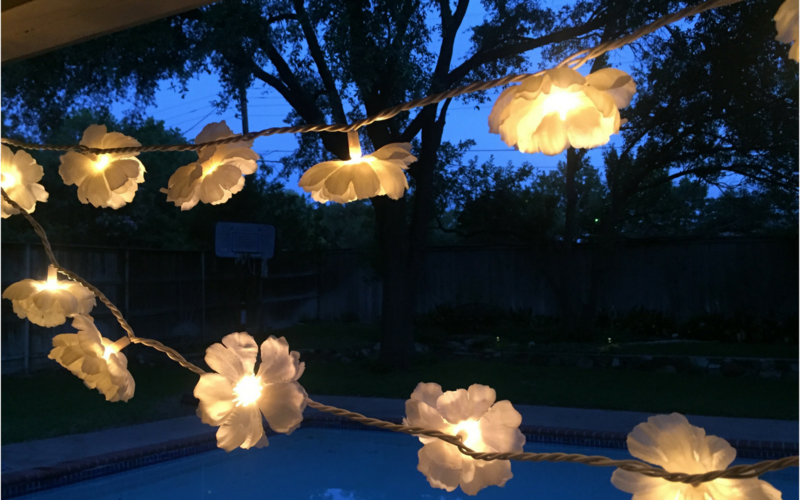 They provide soft romantic light exactly perfect for the magical atmosphere for your perfect luau. If you’re also decorating with fake palms and indoor tropical plants, running mini lights through these will look beautiful, as well. Don’t forget to decorate your guests, with lei. These traditional flower garlands should be about 30-36” long, tied at the ends with a ribbon, and placed on the shoulders – not against the neck – of the recipient with a kiss on the cheek, or on each cheek. You can easily make your own leis by stringing together silk flower blossoms with needle and thread, or (if you’re really brave) tough real flower blossoms, running your needle through the thick center of the flower. Look at some examples online; they’re not hard to duplicate. 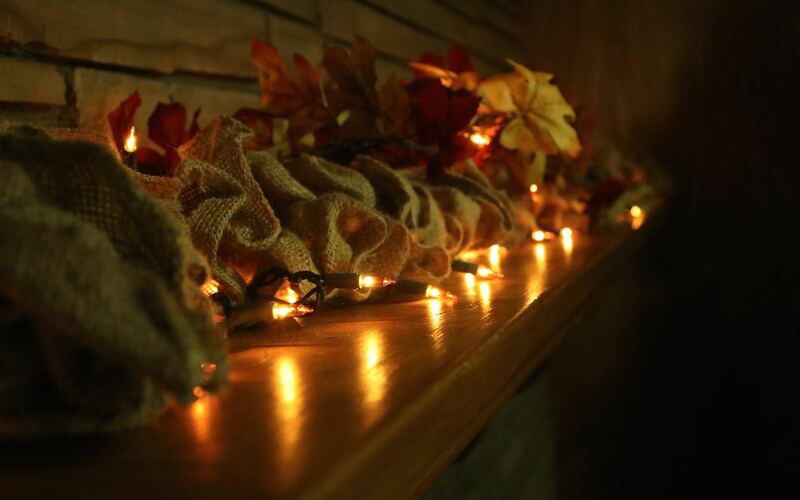 Your own garlands will look much nicer than the cheap plastic version most party stores sell. For a luau held outside of Hawaii, you don’t have to have all the traditional foods, and in fact you almost certainly can’t get hold of some (poi, for instance, loses its sweetness within about a day, and prepared from a powdered mix just isn’t as good). You can, however, find recipes for some items: kalua pork is essentially ground-roasted pig with scant seasoning, laulau salmon can be replicated by roasting your salmon on a top shelf of your backyard grill, and delicious haupia – a solid coconut pudding – can be made with commercially-available mixes or from online recipes (sugar, corn starch, and coconut milk are the primary ingredients). You can also do poi mai’a, mashed ripe bananas mixed with a little water. Look for recipes for lomi-lomi salmon, poke (a raw fish, like sushi without the rice), and chicken long rice – yard-bird (chicken) is a very common ingredient in Hawaiian dishes! You must, of course, have fruit: pineapple, mango, coconut, guava, banana, tangerine, pomegranate, and papaya are all popular on the islands. Decorate your food platters with fresh flowers: bird of paradise, orchids, plumeria, and ginger are all traditional native flowers. If you can’t find fresh ones, just use silk flower blossoms. For night serving, string white mini lights around all the dishes to provide enough light to see by. You can’t have a great luau without mai-tais! Decorate your frozen drinks with flowers and fruit, and try to get hold of some real coconut shells to serve them in (available online in many locations). Hawaii is all about music and scent. The air in spring is perfumed with flowers, mostly plumeria and ginger, so look at Bath and Body Works for body sprays you can use on the tablecloths and other fabric decorations to get that authentic smell. On hot days, spray scent on cork or other porous materials that have been lightly soaked in olive oil; the heat of the sun will release your scent slowly. For music, you’ll need something with a ukulele. One of the most popular artists on the islands is IZ, or Brudda Iz (Israel Kamakawiwo’ole), who created a haunting island rendition of Somewhere Over the Rainbow, among other music, before his death in 1997; this is, for most parties, a perfect choice. You should also be able to find many Hawaiian music collections in the world music section of your local music store. 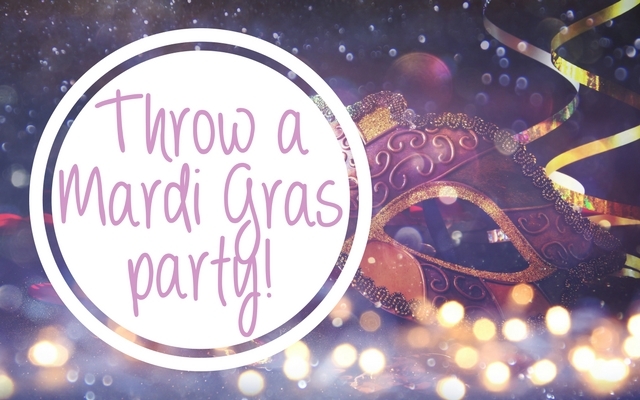 Food, drinks, music, décor – and your guests. Invite people you love and can relax with, and prepare for a wonderful evening of fun and talking story (conversation).